The Write Taste Tipples of the Month 2014. Now that the weather is getting warmer, I thought it's time to recommend a refreshing sparkling wine suited both to drinking on its own and to enjoy with lighter dishes. Renowned Italian wine producer, Casa Vinicola Zonin, of whom I have written before, owns ten estates in Italy, one of these being Tenuta Cà' Bolani, located in the North-East of the country in the Aquileia D.O.C.. This particular area has been planted with vines since Roman times and enjoys a perfect microclimate with breezes from the nearby Adriatic Sea moderating the heat from the summer sunshine. 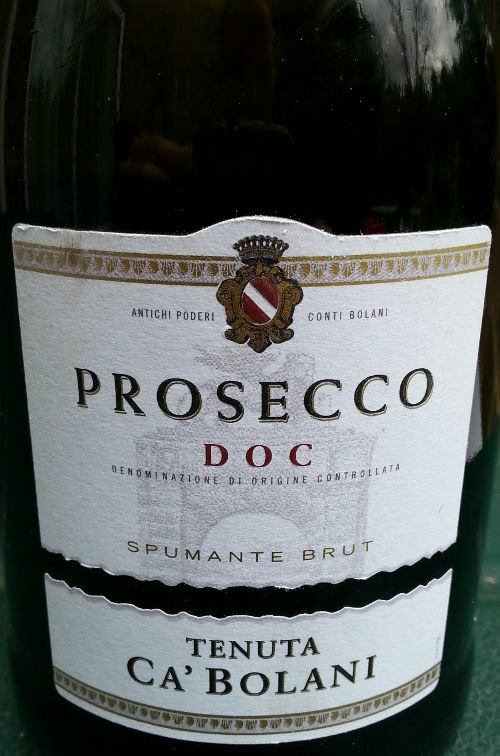 The winery produces several wines, including a range of sparklers and one of these is their Prosecco Brut DOC (11% ABV). Prosecco, made from the Glera grape, has become increasingly popular within the UK, as an alternative to more expensive sparkling wine. However, standards are variable, so finding good ones requires a little effort. Fortunately, there are plenty around if we know where to look and this one is a great example. The grapes are softly pressed and the resulting must is kept at 0°C, until ready to be made into sparkling wine in stainless steel pressurized tanks, using the Charmat method. The nose is fruity and aromatic with notes of pear and melon and a subtle hint of ginger and lemon peel. The palate is light and refreshing with similarly fruity notes of melon, a hint of almonds plus a touch of orange, lime and herbs. Enjoy the warmer weather - cheers! Zonin UK, established in 2006, is the UK branch of Casa Vinicola Zonin.